By keeping our harmonization with the developments taking place in this competitive industry, we are highly indulged in delivering to patrons a useful range of Website Hosting Services. Rendered by some of the capable and innovative professionals of our team, these services can be acquired from us at most reasonable price. 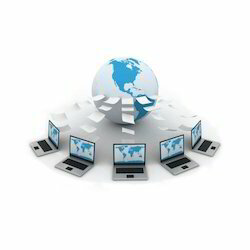 Pack Web Hosting Pvt. Ltd.
We provide Shared hosting in which you "share" the server with other individuals.With this you can Save your money of renting an entire server to yourself. Our high-speed secure data centers are co-located with one of the world's leading hosting company in India giving you a world-class quality with our hosting services. A shared web hosting service or virtual hosting service or derive host refers to a web hosting service where many websites reside on one web server connected to the Internet. Each site "sits" on its own partition, or section/place on the server, to keep it separate from other sites. Our high-speed secure data centers are co-located with one of the world’s leading hosting company in USA giving you a world-class quality with our hosting services. A DNS hosting service is a service that runs Domain Name System servers. Most, but not all, domain name registrars include DNS hosting service with registration. Free DNS hosting services also exist. ... DNS can also be self-hosted by running DNS software on generic Internet hosting services. We are providing Cheapest web hosting services for you. We are providing Linux and Windows hosting both . our packages start from just $.59 / 40 INR only. Our Shared Web Hosting packages are perfect for businesses requiring high uptime web hosting with 24x7 support and individuals & bloggers that require a Reliable Shared Web Hosting platform. 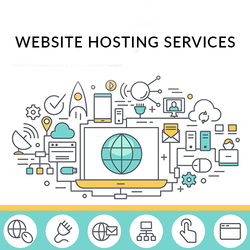 Whether you're starting your first web site or need a solution for your business, our web hosting packages are designed to fully accomodate from the most basic to the most complex requirements. An enterprise website is the primary online representation of your organisation and with the explosion of the internet and growing focus on digital marketing, you need to ensure yours stands out from the crowd. Shared hosting is a service in which several sites get hosted on the same server. This kind of hosting is mostly availed by those people who have small website. It is very cost- effective option as cost of hosting a website divides between various website owners.